Because you guys are special, we have something for you! 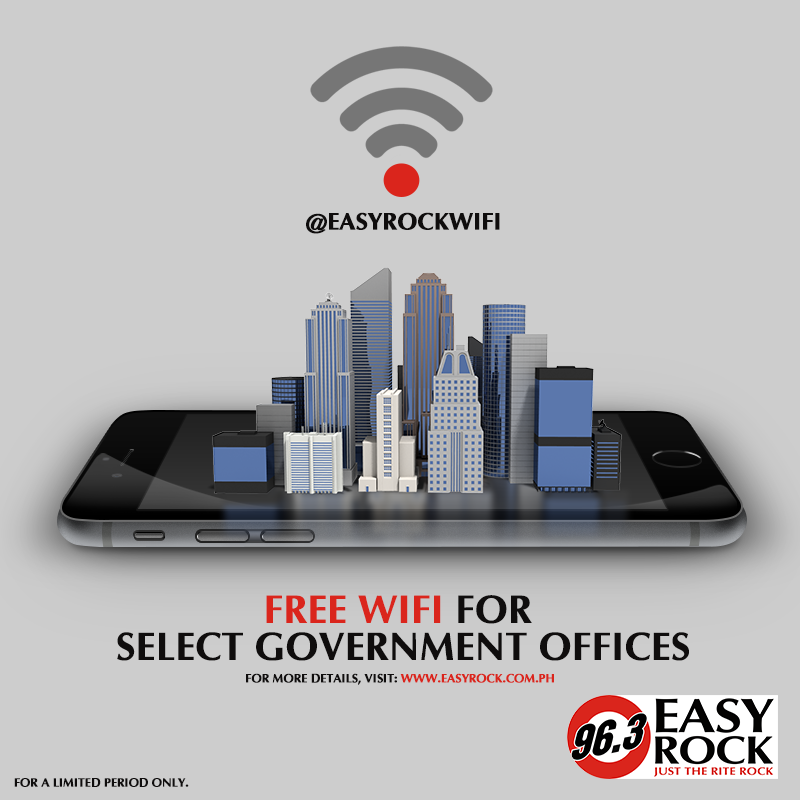 Your number one at-work and on the road radio station is providing free wifi services in select government offices! To connect, just look for our SSID @easyrockwifi in your wifi connection settings. This wifi service is for a limited period only.